It’s inevitable that upcoming Oscar contender If Beale Street Could Talk will be compared with the more commercial The Hate U Give. Both films adapted from novels about racism as seen through the eyes of young black women and their close-knit families. Oscar winner Barry Jenkins (Moonlight, which is superior to both films) adaptation of ‘Beale Street’ is a cinematic masterpiece. The biggest detractor to ‘Beale Street‘ is its lack of appeal to mainstream, ticket-buying audiences. The Hate U Give is more accessible, it’s more relevant to what’s happening today. ‘Hate U Give’ doesn’t have fancy camera work and subtle nuances of ‘Beale Street,‘ but it’s the type of soul-searching film that can open eyes and change lives. What’s great is that both films were released in the same season and that both stories are being told. Everything here is on the nose, there are no hidden meanings or subtleties. 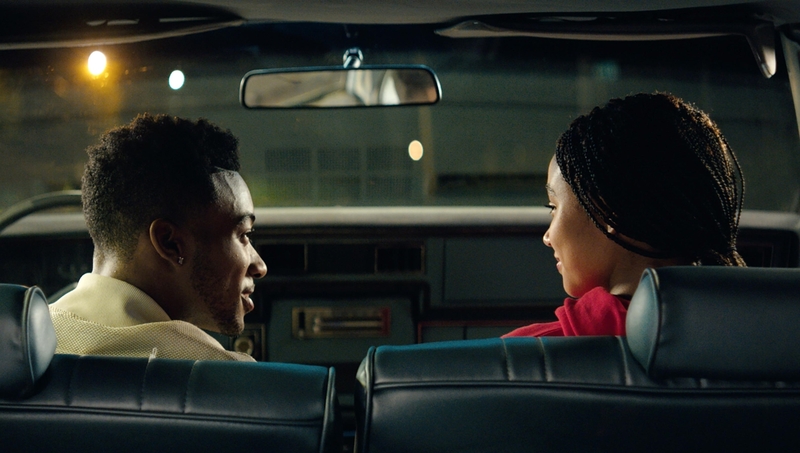 The Hate U Give opens with Maverick teaching his children a very harsh lesson about being black in America, its something Starr has never forgotten. The screenwriters do a very good job of bringing a greater understanding of the more misunderstood elements of the Black Lives Matter movement. Through the role of Starr, Stenberg plays her most rousing role to date, the viewer watches a family balance what’s right and what’s smart. The performances are big and loud, you know where everyone stands. A variety of hot-button issues are covered, including white protesters taking advantage with arguments contrary to the meaning and purpose of “the event.” Everything here is on the nose, there are no hidden meanings or subtleties. Hall, Stenberg, and Common really stand out among the performances, as they are the more seasoned film actors. Hornsby (Fences) oversells many of his more dramatic moments and Mackie (Detroit) plays a fairly standard gangster. Stenberg role is somewhat similar to the one she plays in Everything, Everything. Hall’s performance doesn’t hold the weight Regina King’s does in ‘Beale Street,’ but she is still effective. The narration used in both films could easily be nixed, ‘Hate U Give’ could also benefit from tighter editing. Yet everything ties back to the message that’s received, and that’s where this film leaves you with substance you can apply to your life and your interaction with people you don’t understand and that’s more valuable than the finest looking film out there. Leaves the viewer with a potent new perspective that has never been captured quite so vividly on screen before.